I have an old set of nonstick aluminum pans that have gained scratches and lost their non-stick coating over the past several years. There's nothing physically wrong with them except for those few microns of Teflon that are flaking off. I'm wondering if I can scrub off the non-stick coating and season the pan as I do my cast iron skillet (coat with oil, then apply high heat in the oven). I'd need to remove the handle when seasoning it, but that shouldn't be a problem as they're attached with screws, not rivets. I've found some opinions in a quick Google search (1, 2) but nothing very convincing or thorough. So - can I get that beautiful dark glossy patina on my aluminum pan, or is it destined to be a food magnet? I tried seasoning an aluminium kawali and was pretty successful doing this. I cleaned it very well and then layered it with a bit of oil (use peanut or canola) and then baked it outside on the bbq (or oven) for 30mins each time and then reapplying oil when it’s cooled down to touch. Important and ensure your kawali is upside down when baking and remove any handles. I repeated these steps 5 times ( see pics attached for result). Before using the wok properly, I sacrificed onions and ginger and burnt it for seasoning and then did the same thing with chicken pieces. To clean I used warm water, wipe it paper towel and dry it on stove top to fully dry the kawali. I then, apply some oil on it before storing on paper bag until next use. Wow, I am going to say no. I haven't research it that mush but my guess is it is a bad idea. Aluminum pans are cheap, I would just pick up a new one. But to really answer your question. I don't really think you will be able to season an aluminum pan. I have a couple that I saute and pan fry with all the time that, even if I wasn't trying to intentionally season them they should have developed some sort of coating like a cast iron pan or carbon steel wok would do naturally over time. It is possible that I just wash it to aggressively after use. I would say the only way to really know for sure would be to give it a try. But I wouldn't mess with the non-stick pan. Just buy a new aluminum pan. I've never heard of seasoning aluminum, but a casual search turned up similar suggestions that it's do-able. On the other hand, it is quite easy to cook in bare aluminum, and I find it easier to scrub of stuff that's seriously burned on, compared to stainless. Restaurants particularly like aluminum cookware because it's dirt cheap and conducts heat extremely well. Personally, I don't think it's worth the hassle of scrubbing off all the nonstick layer. 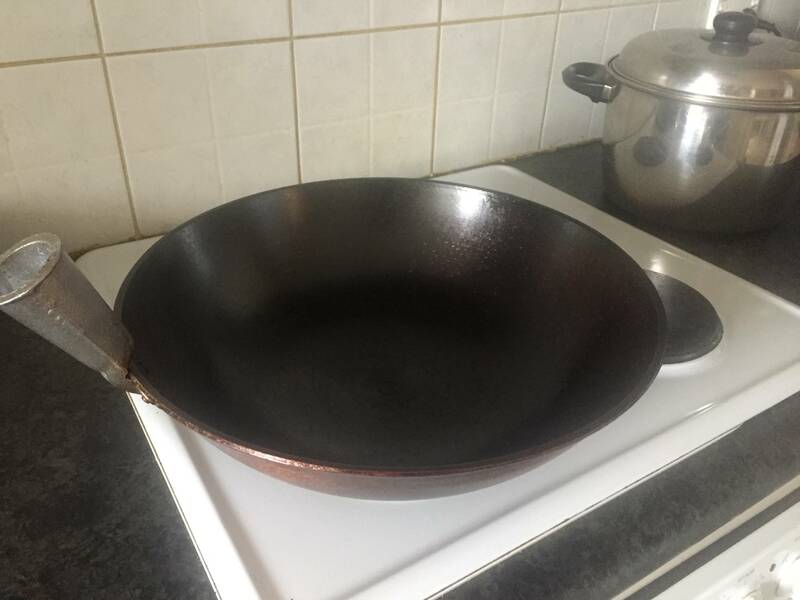 For something as fragile as a teflon coating, it proves remarkably difficult to fully expunge all traces of the nonstick coating, and the layers that help it adhere to the metal. Let us not forget that these layers contain toxic PFOA, so you'll want to get every last trace gone. Seems like a bad use of time, when you can buy a brand new, NSF-certified aluminum pan for under $20. Give it a try--Don't bother taking the teflon off; just coat with oil and season like you would cast iron. The polymerized oil should form a coating over both the intact teflon and the scratches. 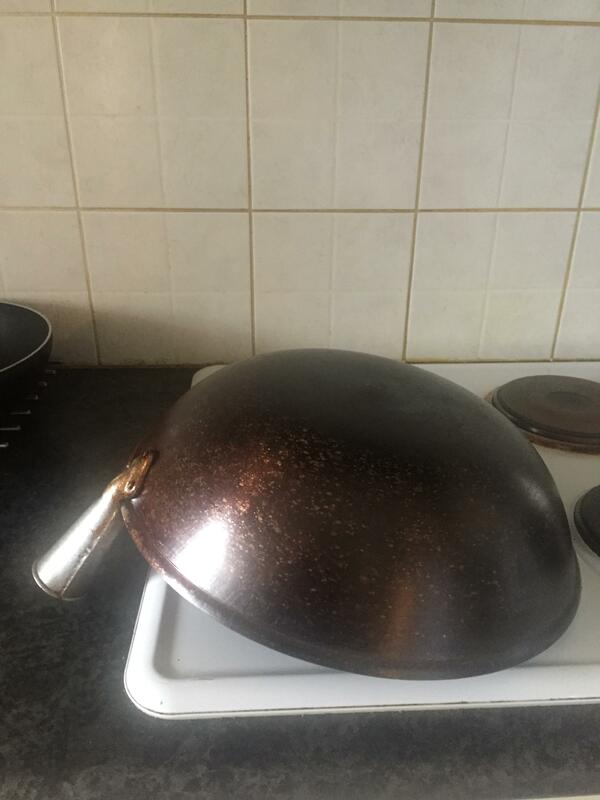 Then the trick would be to treat the pan in the future like a cast iron pan when it comes to cleaning; don't overscrub it, simply loosen any stuck food with water and a spatula, then wipe clean and dry, reseasoning whenever the coating appears to get any gaps in it. I happen to love some of my old scratched Teflon pans, mainly because of the even heat distribution of the aluminum material. There do exist cast aluminum pans which you season as you would cast iron. However, the casting process leaves a rough surface, which gives extra surface area for the seasoning to stick to. I would suspect that if you were to try scrubbing the pans clean, they would be significantly smoother than a cast surface, and the seasoning wouldn't stick as well. Not the answer you're looking for? Browse other questions tagged non-stick seasoning-pans aluminum-cookware or ask your own question. Do I need to season an old cast-aluminum pan?